AIlsa’s travel theme this week over at Where’s My Backpack is Through (click here to see more entries). Her first shot instantly reminded me of a beach in West Wales where I camped earlier in the summer, so that’s where I’m going to start. 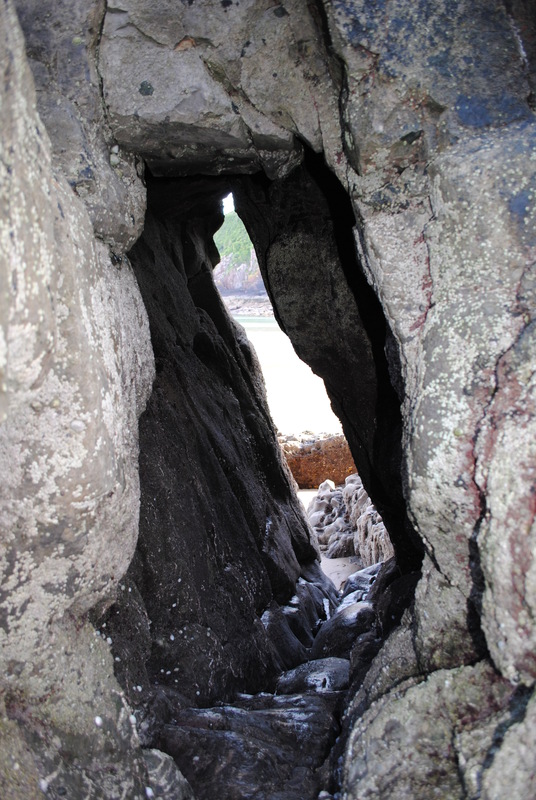 This huge gap in the cliff face gave the beach at Church Doors it’s name. 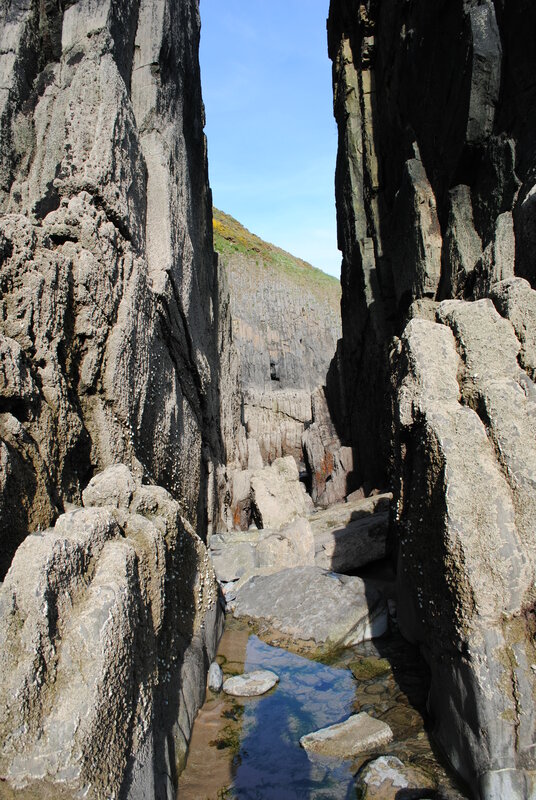 The ‘secret’ passageway through to Skrinkle Bay, on the other side of Church Doors. In a couple of hours, this would be under water. 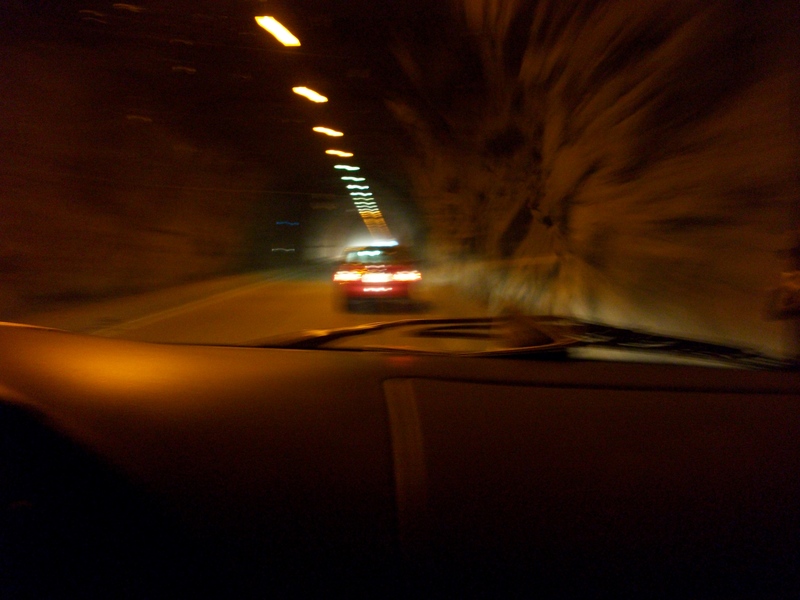 Driving through a tunnel into Yosemite, waiting for my first glimpse of the National Park. Well, you know I couldn’t resist including a skiing shot! 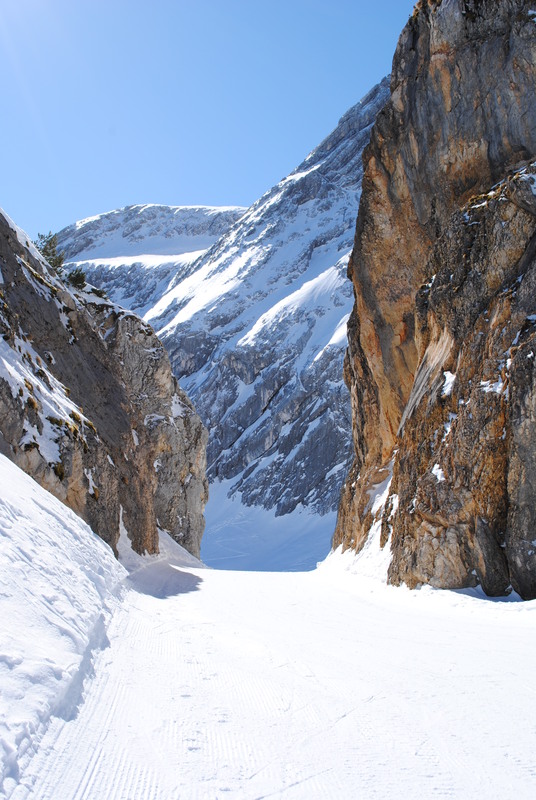 I skied through this path at Garmisch-Partenkirchen in Germany.